MOVE IN READY! This stunning home is located in sought after Village of Asbel Creek. This home features 2, 362 sq ft of open living space, 5 Beds, 3 Baths & 2 Car garage! This popular floor plan features: Formal dining room, archways to family room, tile & carpet floors. Large Gourmet kitchen with 42 cabinets, new stainless steel appliances, desk built in, wine rack, breakfast bar, pantry & breakfast nook. Family room is open provides access to lanai through sliding doors. Spacious Master bedroom with large walk-in closets. Master bath w/Spa feeling, his-her's vanities, separate shower stall & Jacuzzi garden tub. Guest bedroom on main floor & full bath perfect for in-law's or office. 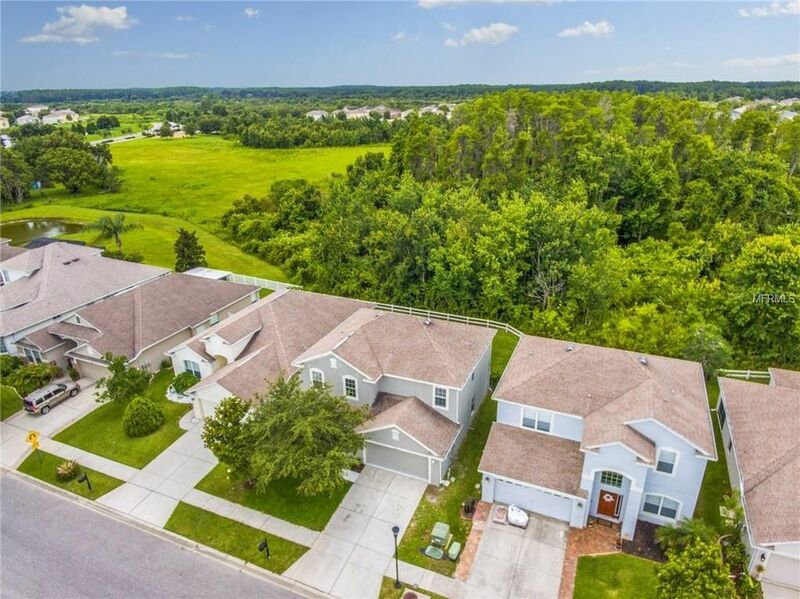 New updated Features include: new exterior & interior paint, new tile flooring in entry way, dining & kitchen new carpet throughout, upgraded light & plumbing fixtures throughout the home, blinds throughout for great energy savings. Enjoy the outdoors in screened lanai with a large & private backyard. Close to all shopping, restaurants, highways. NO CDD FEE & LOW HOA FEE! Directions: 41 Enter Asbel Estates onto Asbel Rd. Right on Bullock, Left on New Passage Rd. Left on Jasmine Brook.